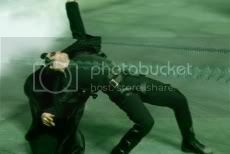 The Wachowski brothers’ 1999 film The Matrix was a turning point in movie special effects. 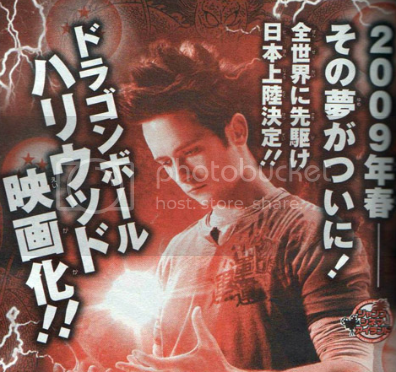 The movie was inspired by the brothers’ love of anime and comics. In emulating such works as Ghost in the Shell, they produced some of the most jaw-dropping visuals ever seen at the time. The heroes of the story defied all realistic notions of physics by leaping into the air, destroying concrete sidewalks and building by hand, and slowing down time itself to dodge speeding bullets. Not only were the brothers able to make the cartoonish antics of anime and comics into a feature film, but they were actually successful in making it look incredible instead of just looking completely stupid. The film had enough of that Hollywood shine to it to make the outlandish seem possible. No matter how easy Hollywood makes it look, that is not something that can be done so easily. One of the most appealing aspects in anime and comic are that they do not conform to the laws of nature and reality. It’s not that unusual to find all sorts of fanciful ideals like those physic defying battle scenarios being portrayed in the mediums. In fact, it is often harder to find anything actually realistic in anime. Even the character designs themselves break all notions of reality, from the spiky multi-colored hair, to the eyes that occupy three-quarters of the character’s face, to the middle school girls with the D-cup breast size. Seeing these types of things in real life simply looks ridiculous, and as you can see from this photo of the AFI music video “Girls Not Grey,” it could be quite disturbing at times. Anime and comics are meant to be escapes from the real world, which is why the medium is best left in the world of imagination and not merged into the world of reality. But the Japanese movie and television industry has built a global reputation over the past few decades on taking such fanciful concepts and ideas and then rendering them in live action. What’s worse is that they have to do it under a very low budget, especially when compared to Hollywood blockbusters. Some iconic images of this genre include the battling rubber-suited monster films like Godzilla, or the spandex ninja “super sentai” shows like Ultraman and Power Rangers. This cheesiness has earned Japanese live-action television and cinema a cult following in the American audience, but when it’s used for adapting anime on to the big screen, it has produced some of the biggest eye-sores ever seen. The ridiculous costumes, poorly rendered special effects, unrealistic action sequences, over-acting… this was an epic failure of a film. Granted, I’m sure that there is a lot of tongue-in-cheek humor going on with this film, but honestly, it just looks too horrible to even appreciate any kind of commentary it has to offer on the medium. The next year, Japan came out with another comic book adaptation for the comedy series Cromartie High School. The surreal cast of this comic translated into real life to a dude in a cardboard robot costume, several men jumping around in monkey suits, and a very buff Japanese man who looked absolutely nothing like Queen singer Freddie Mercury. It was completely low-budgeted and tacky… but it actually worked. The original material was just as zany and stupid as the movie that the humor did translate well. It would still be too ridiculous to ever appeal to anyone who wasn’t familiar with the comic, but in this case, the Japanese cheesiness actually worked for an adaptation. The amazing thing is that these corny films came out only a couple of years ago, right in the middle of a time that Hollywood was having a golden age of comic adaptions. Thanks to The Matrix, a new era of film making began that ushered in many highly successful comic adaptions with that new Hollywood shine, starting with the X-Men movie in 2000. Two years later, a Spiderman adaptation opened to high critical reviews and became the highest-grossing opening weekend for any film up until the point. In the years that followed, numerous squeals to those films and new comic book properties were all been made into live-action films. Past comic-to-movie franchises, such as Superman and Batman, had been revived to have that new Hollywood shine to them. It’s a trend that has going strong these past 8 years, and it shows no signs of slowing down, as you can see with this summer’s release of Iron Man and the Incredible Hulk. While not all of them have been as well received by fans and critics, mostly all of them have done very well at the box office. So why are Japanese films still missing out on this shine? Is it simply just an issue of budget or is it some kind of cultural lock that filmmakers refuse to break from? That is what was on my mind when I went to the national screening of the 2007 film Death Note last week. One of the series’s main character, a floating Shinigami (death god), was going to be artificially rendered in computer graphics (CG). Looking at pictures of the film, I feared the worse. The character looked like a giant puppet. So I went into the film expecting it to be just as cheesy and ridiculous as Cutie Honey and Cromartie High School. Much to my surprise, however, the film looked fantastic. 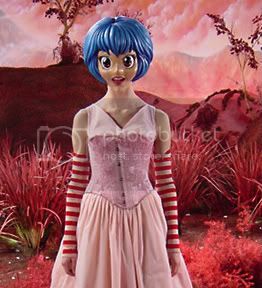 The CG character didn’t just look like a puppet. Sure, a lot of the time his movements where static or jerky, but in the few scenes that he played a predominate role in, a lot of detail was given to his movements and facial expressions. 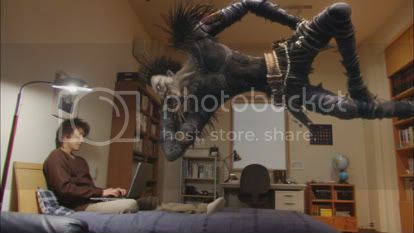 And at one particular scene when the Shinigami threw a temper tantrum on the ceiling of the hero’s room, the audience laugh and applauded, a sign of accepting him as an actual living character in the movie. The CG character had personality, and that’s exactly what the Hollywood shine is all about. When you can make special effects look realistic and give artificial characters a believable soul, then you can successful adapt comics and anime into live-action movies. Death Note was a clear sign that the Japanese were finally understanding this. But no matter how much the Japanese improve, Hollywood is still one step in front of them, and once again, it was because of the Wachowski brothers. The brothers’ recent adaptation of the classic anime series Speed Racer disregarded all attempts of toning down any anime elements to it. The film was shot in scene-for-scene exactly like an anime movie would play out, but with real-life actors and an unlimited amount of shine and polish. The most used of these anime motifs was that the background image often never showed the background of the scene, but rather displayed colors, lines, and separate images in conjunction with the character’s inner monologue in the foreground of the shot. Did it work? Depends on who you ask. The film received completely polar opposite reactions of either loving the unique style or hating it with a passion. Personally, I loved every minute of it. The anime style presented an innovated new form of narrative that allowed the viewer to get the background story of a scene as it was going on. Time and storyline shifted all over the place, but the visuals only highlighted the key points that needed the most attention from the viewer. The result was a completely engrossing experience as the viewer gives in to the fictitious world of real-life people doing completely unrealistic things. 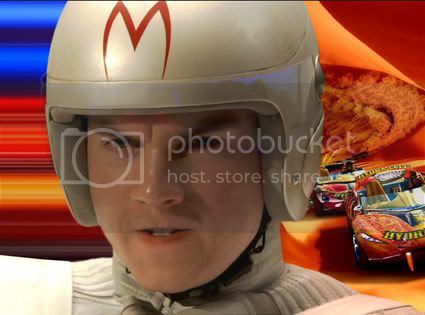 Speed Racer was anime adapted into live-action, and it was amazing. Which finally brings me to the upcoming Hollywood adaption of the comic Dragonball. On paper, this looks like a bad idea. In fact, it looks like a horrible idea. If you turn to the internet, you will rarely find anyone actually supporting this film. Instead, people count down the days until the worst movie in the world drops a bomb into the box office. But that is because we think about all the ridiculous, cartoonish antics of the original comic and anime series. We imagine mid-air battle sequences, glowing auras of yellow, and men shooting out balls of energy with their hands. But take a look at who’s making it – 20th Century Fox. That means big budget, which means detail in special effects, which mean that it will have that Hollywood shine, which ultimately means that it’s going to be a pretty freaking awesome flick! All of those ridiculous Dragonball things have already been before in Hollywood. How about Neo’s final mid-air battle Agent Smith? Or X-Men’s Storm shifting weather and lightning around her body. Or even Iron Man shooting out balls of electricity to his opponents? If there is there anyone who can handle such a crazy adaption, it is most certainly Hollywood, so we really shouldn’t have much to worry about. Since the turn of the century, Hollywood has proven again-and-again that it knows how to adapt comics and anime into live-action movies. The Japanese movie industry has been a little late to the party, but even they are begining to create some great looking films that make the ridiculous look believable. It is with this recent track record that I firmly believe that we still have a lot of great live-action anime films to look forward to in the future, no matter how stupid they might sound right now. This entry was posted on Wednesday, May 28th, 2008 at 6:56 pm by Scott	. « Anime Almanac the Live!